Looking for something new? The Ultimate Love Pacifier X10 Beads is angled for pleasure! 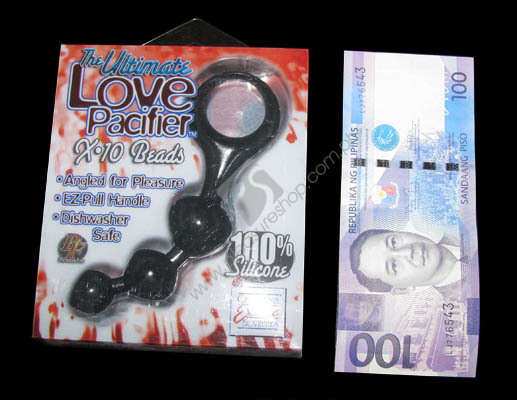 The Ultimate Love Pacifier is made from 100% Silicone and has an EZ-Pull handle. When you are done having fun with the Love Pacifier, you can throw it in the dishwasher or clean it with soap and water, you can even boil it. The Ultimate Love pacifier is Phthalate free. Time to pacify your cravings!